Demonstrating rare insight into the fundamental principles of trademark law, the court in LunaTrex, LLC v. Cafasso granted both parties’ motions for preliminary injunction on the same issue, enjoining everyone from calling themselves “LunaTrex.” That’s not an inconsequential holding, since it means none of the parties may participate in the $30 million Google Lunar X Prize competition until they sort it out. At least five individuals, working for at least four different companies, formed a team to enter the contest to put a rover on the moon. The main contestants in the suit are plaintiff Pete Bitar, who was the primary money man, and Defendant Mary Cafasso, who brought her expertise in aerospace work to the project. There would be no story if there wasn’t a falling out. The court details promises of salaries never paid, accusations of incompetence at jobs, companies registered by one without telling the other, and dueling trademarks applications filed. Cafasso went for the jugular: she sent a letter to a major funder, Stihl Corporation, telling it that she, not Bitar, was in charge, the natural result being that Stihl pulled its funding. She also sent a letter to the X Foundation, the sponsor of the lunar competition, which then told both Bitar and Cafasso that the team was suspended effective immediately. The foundation said the suspension would remain in effect until it received clear evidence of ownership of the LunaTrex name and team registration, and a clear statement of who was authorized to speak for the team. The same day as the X Foundation letter, Bitar sued. Both parties asked that the other be enjoined from using the LunaTrex name. The court found that the four principal contributors (and perhaps others) had formed a de facto partnership and the trademark was an asset of that partnership. There was no single contributor to the team who could claim ownership; rather “the entire team contributed to the creation of the mark’s value and protected status.” Bitar contributed money, but others contributed talent and effort. 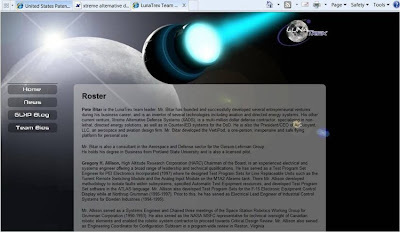 The promotional materials focused on the team as a whole, not any one individual, and there was no evidence that the relevant public believed that one individual in particular stood behind the LunaTrex name. The mark therefore belonged to all members of the team and no one was entitled to use the mark to the exclusion of any of the others. A trademark, however, is not divisible. If it were shared among the different splintered partners, the resulting confusion would destroy the value that each partner worked so hard to create. Organizers of the Google Lunar X Prize are well aware of this risk and seem committed to preventing this confusion: they say they will disqualify the entire team if this dispute is not resolved, and they will not allow two “LunaTrex” teams to compete. Both plaintiffs and defendants have shown that they have an ownership interest in the mark and a right to veto unauthorized uses of the mark. Neither side has shown that it is likely to succeed in showing that the other side is not equally entitled to use the mark. To prevent confusion to the public, the best solution under the law is to prevent all parties from using the mark without the consent of all other parties who are entitled to share control of its use. In other words, the court will take the unusual step of granting each side’s motion for preliminary injunction to prevent the other from using the LunaTrex trademark without the moving side’s consent. Be still my heart, but it gets even better: “Nothing in this decision would necessarily prevent the parties from resolving the dispute by agreement, so long as they can avoid confusion for the relevant public as to the origin of an ongoing LunaTrex effort.” My goodness, allowing a trademark to do what it’s supposed to do. Disclaimer: The court cites my article “Who Owns the Mark? A Single Framework For Resolving Trademark Ownership Disputes,” available here. I suppose it’s not a surprise I like the decision so much. Lunatrex, LLC v. Cafasso, No. 1:09-cv-1272-DFH-DML, 2009 WL 4506321 (S.D. Ind. Dec. 1, 2009).